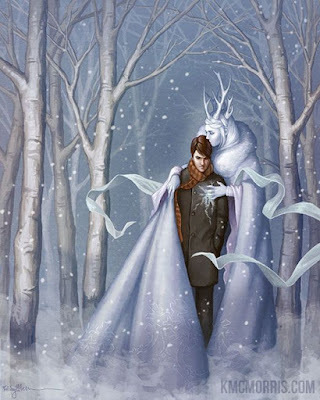 It's our final Seize The Birthday of 2015, and this time it's Anything Goes. 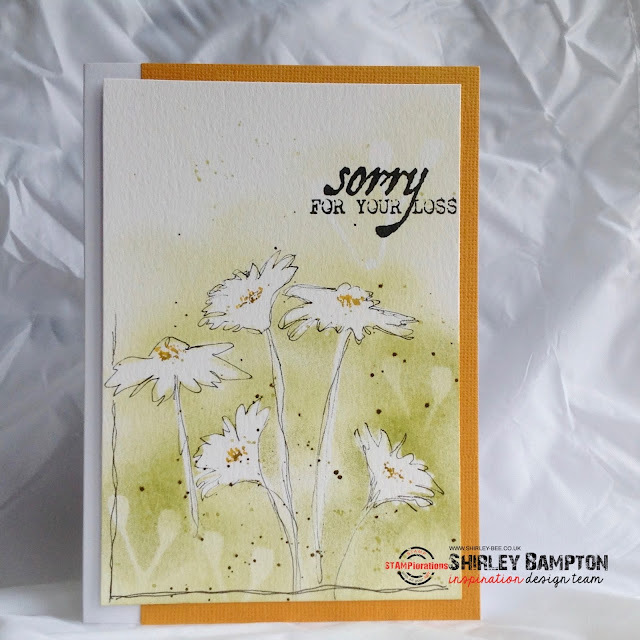 I went all monochrome with a birthday card for my cat-loving brother-in-law using the cat and sentiment from The Bee's Knees Pets stamp set, adding a touch of colour with Hickory Smoke Distress Ink. 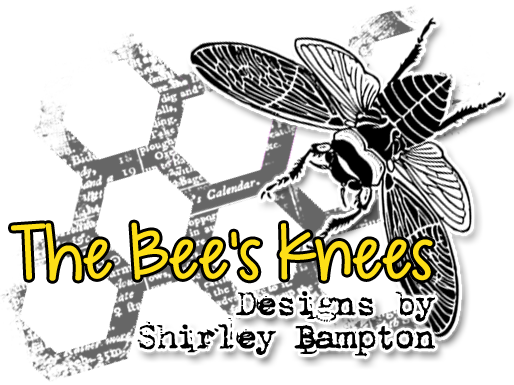 The bar code and chevrons come from the STAMPlorations Mixed Media Grunge set. 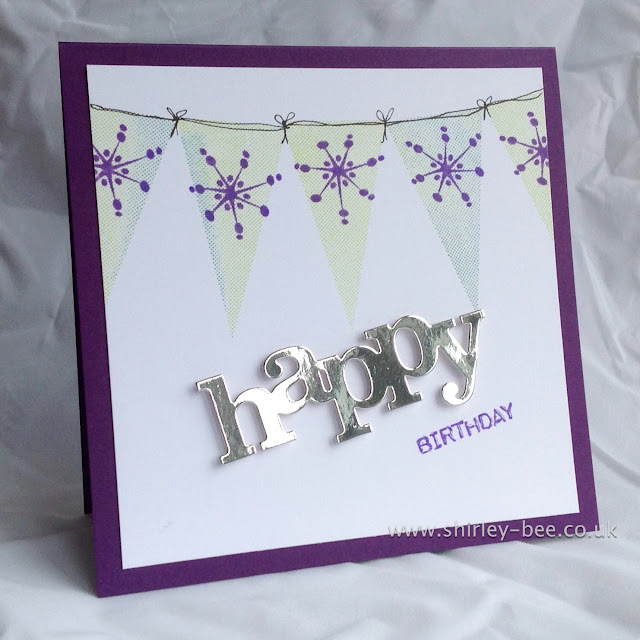 Pop on over to the Seize The Birthday blog for more fabulous inspiration from the design team, and add your birthday creation to the gallery. Two more sleeps till this fella sets off. 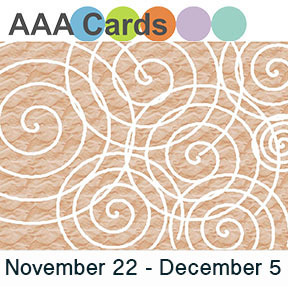 Here's a quick one-layer card for you. 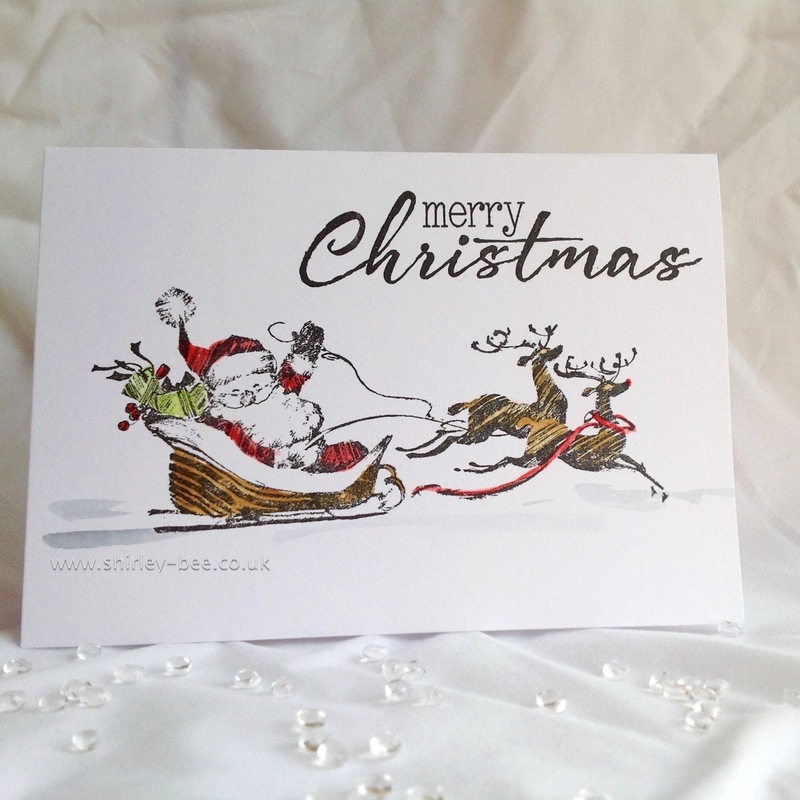 I stamped the image (Penny Black Waving Santa - discontinued) and sloshed a bit of colour on it. The sentiment is from Clearly Besotted. and Simon Says Monday Challenge - Winter Wonderland. 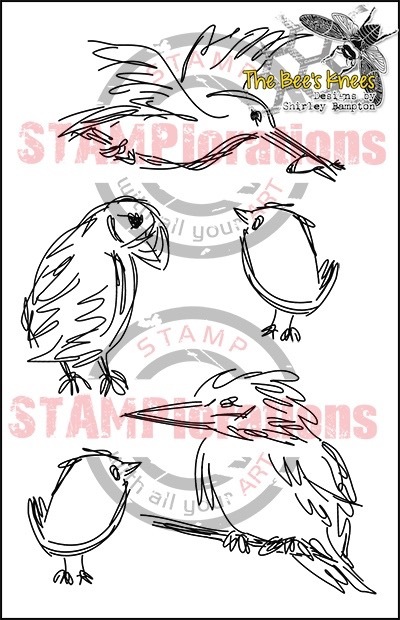 Here's a couple of sloshed robins for you ;) Full details on A Sprinkle of Imagination blog. For my card, I used my newly acquired Stampendous Ranunculus Field stamp, and just sloshed some red Distress Inks on, and Pumice Stone for the background. If you don't want to play with the red and white, you can create anything you want, as long as it's a birthday theme. 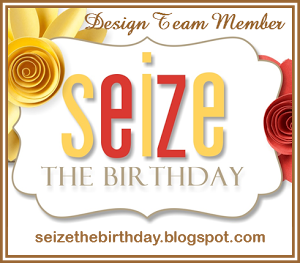 Click over to the Seize The Birthday blog to see some fabulous inspiration from the rest of the Design Team, and join in with us! 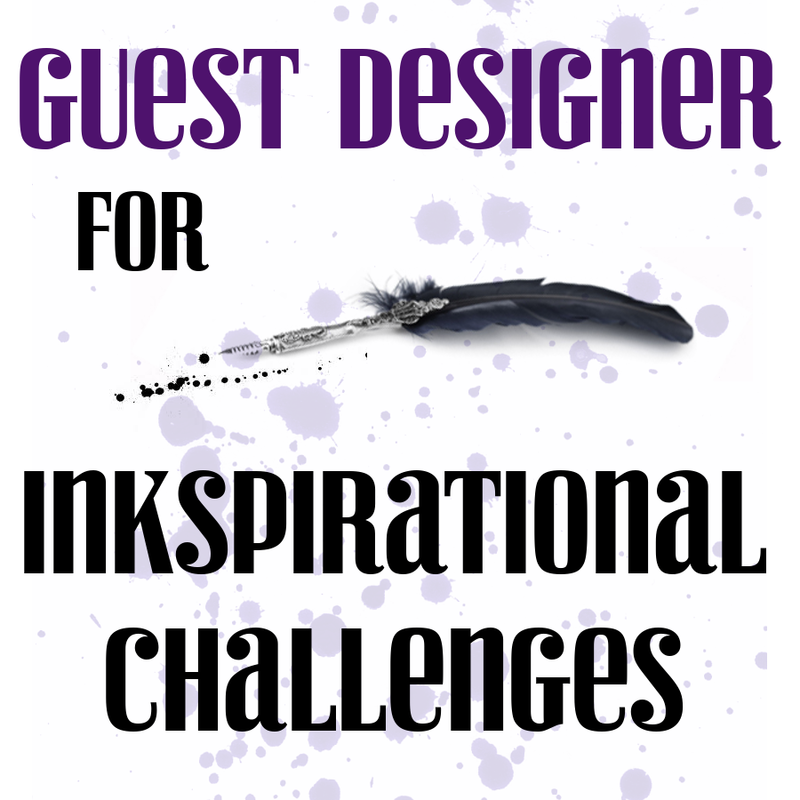 Back again with more STAMPlorations inspiration with a similar card to yesterday's. 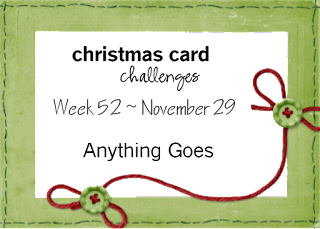 My starting point again was the piece of ribbon I used to hang the stocking. I pierced a hole at the top of the stocking and pushed the ribbon through, then looped the other end over the top of the panel. Still busy making Christmas cards? Me too. 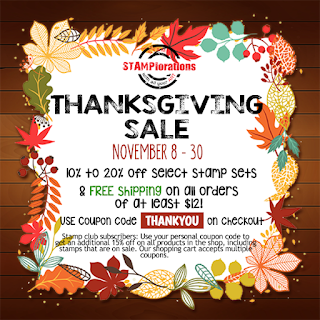 Here's some more STAMPlorations inspiration for you. 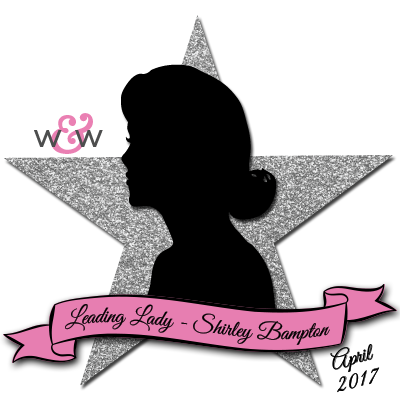 My own inspiration came from this post which I tracked down from a Pinterest pin. I liked the overall look of the pieces, so I had a go at my own version. 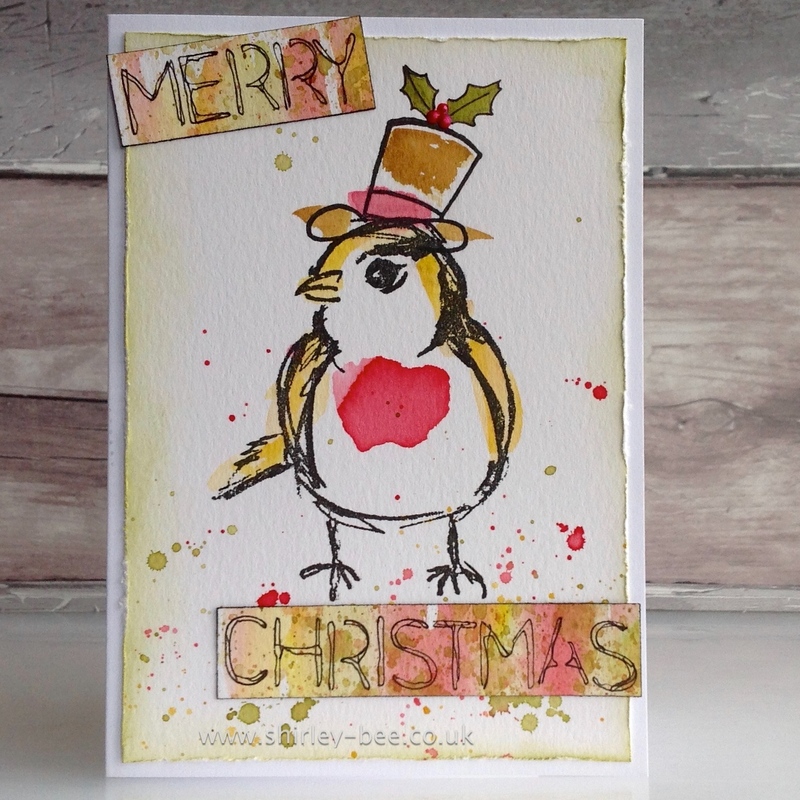 The Christmas stamp and sentiment are from Joyful and the background elements are from Mixed Media Elements. 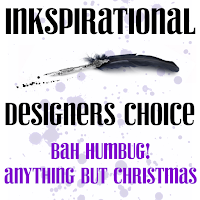 STAMPlorations Inspiration #51 - It's Beginning To Feel A Bit Like Christmas! A bit of STAMPlorations inspiration for you. 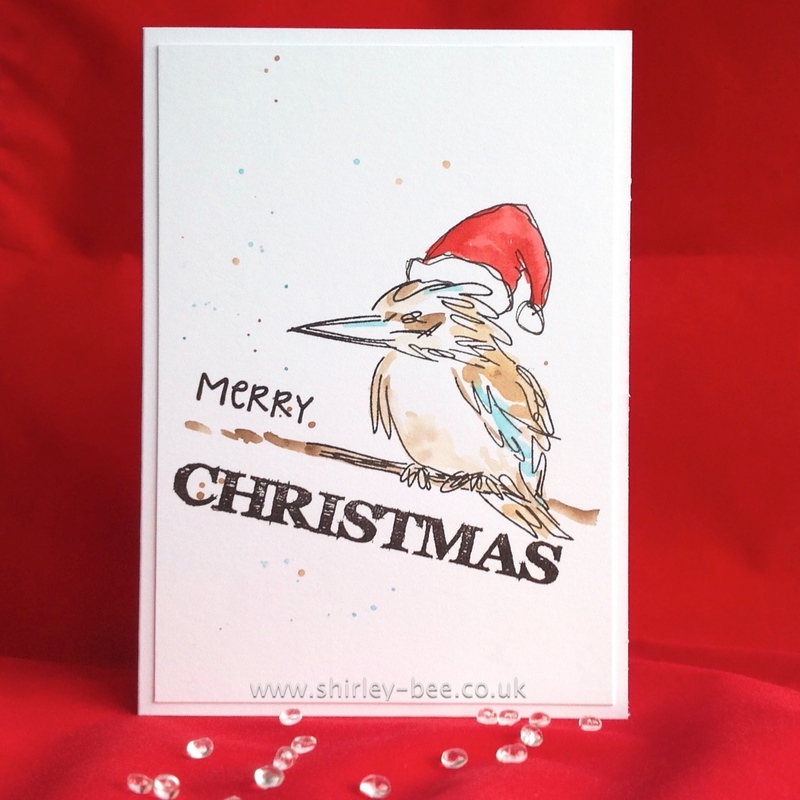 I've been doodling again, giving The Bee's Knees SmallBirds some festive headgear. 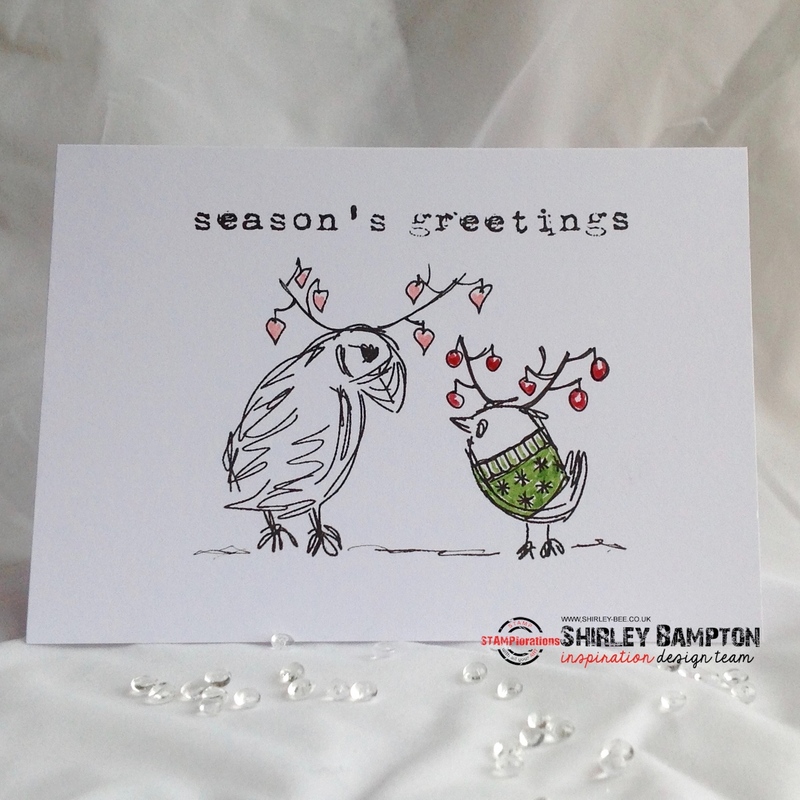 I stamped the puffin and the little bird onto my card and, after practising on spare paper, drew some festive antlers on them, and a festive jumper on the little guy. Cute, eh?? The sentiment is from Joyful. 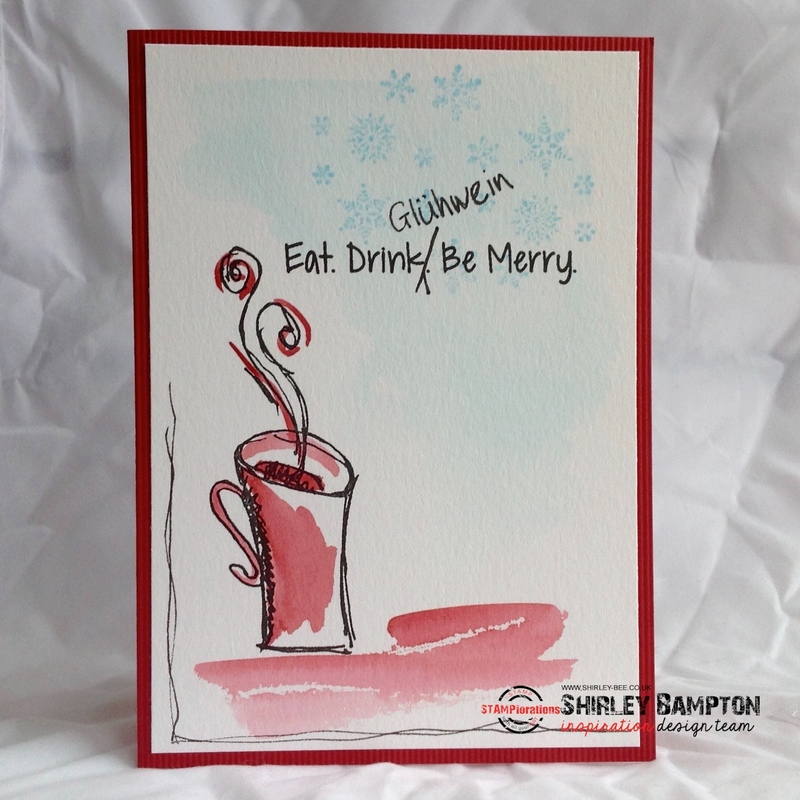 and Christmas Cards All Year Round where the theme is Keep It Simple. 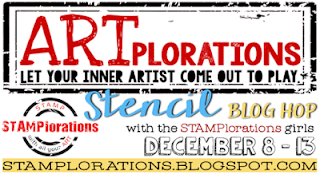 Pop on over to the STAMPlorations blog for more inspiration from the team, and for details of all the lovely challenges you can enter ;) I'll be back in an hour with my final card for the ARTplorations Stencil Blog Hop. 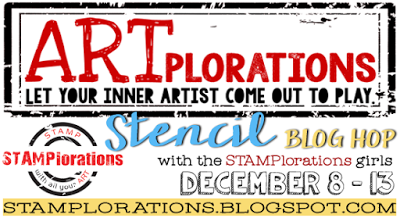 It's Day 3 of the ARTplorations Stencil Blog Hop at STAMPlorations. While I had the Cosmic Shimmer Gold Pearl texture paste out for Tuesday's card, I made this card. 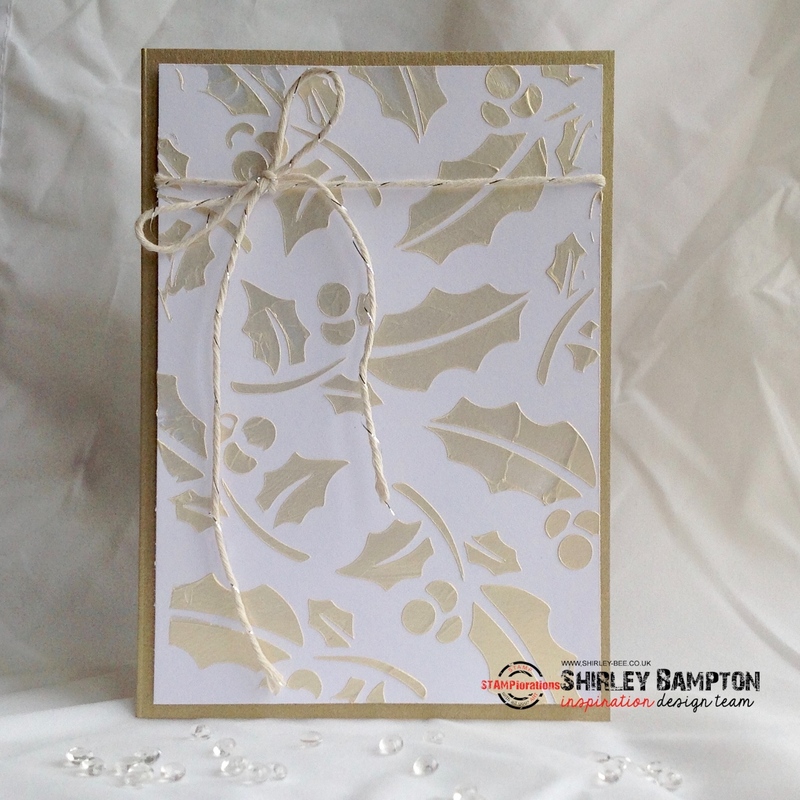 I sponged the edges with Antique Linen, then stamped and gold-embossed a poinsettia and added a little shading with Antique Linen. 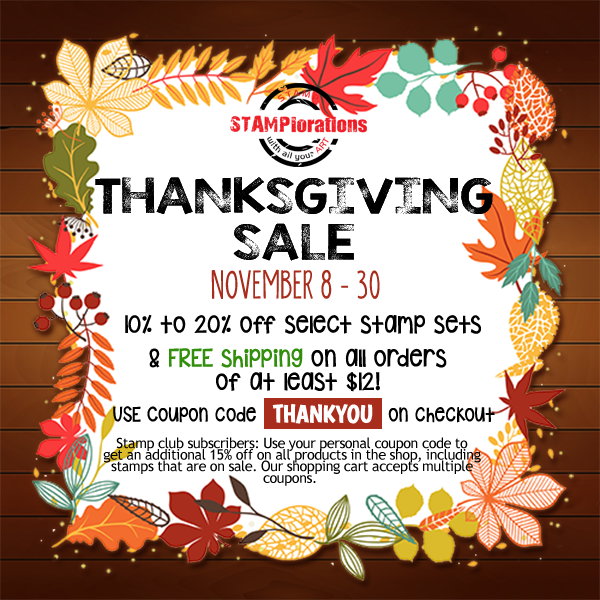 It's party time at STAMPlorations, and you're invited! 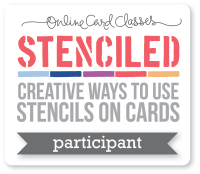 We're having a stencil blog hop using ARTplorations stencils, and you can win prizes by commenting on the participating blog posts. 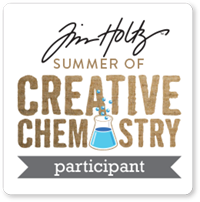 Here's my card for the first day of the hop. Gold pearl Cosmic Shimmer texture paste through the Holly Background stencil, some festive baker's twine, mounted onto champagne card, and I didn't feel a sentiment would enhance it, so I didn't add one. 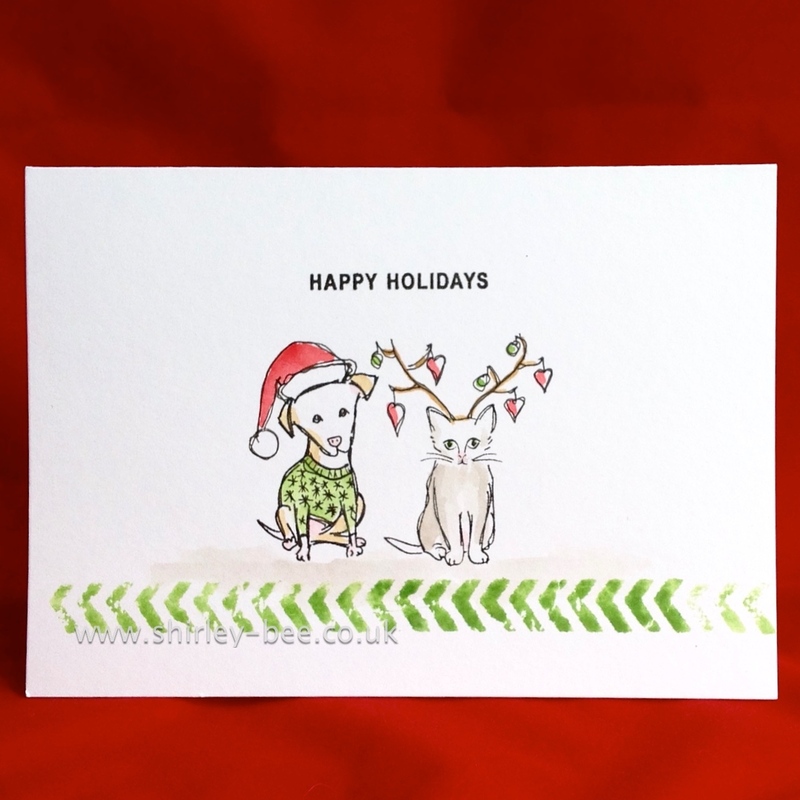 Pretty obvious that it's a Christmas card anyway. 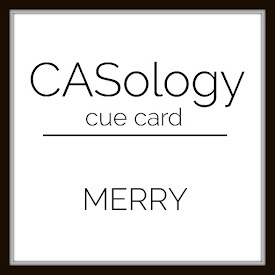 Merry Monday to you! 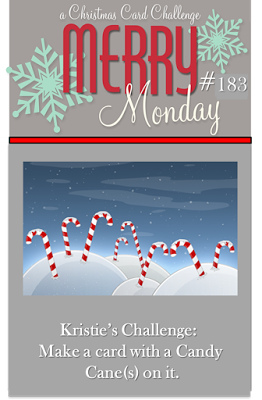 I'm thrilled to be Guest Designer today over at Merry Monday Christmas Card Challenge. 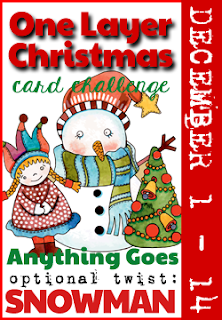 The theme this week is to make a Christmas card with Candy Cane(s) on it. 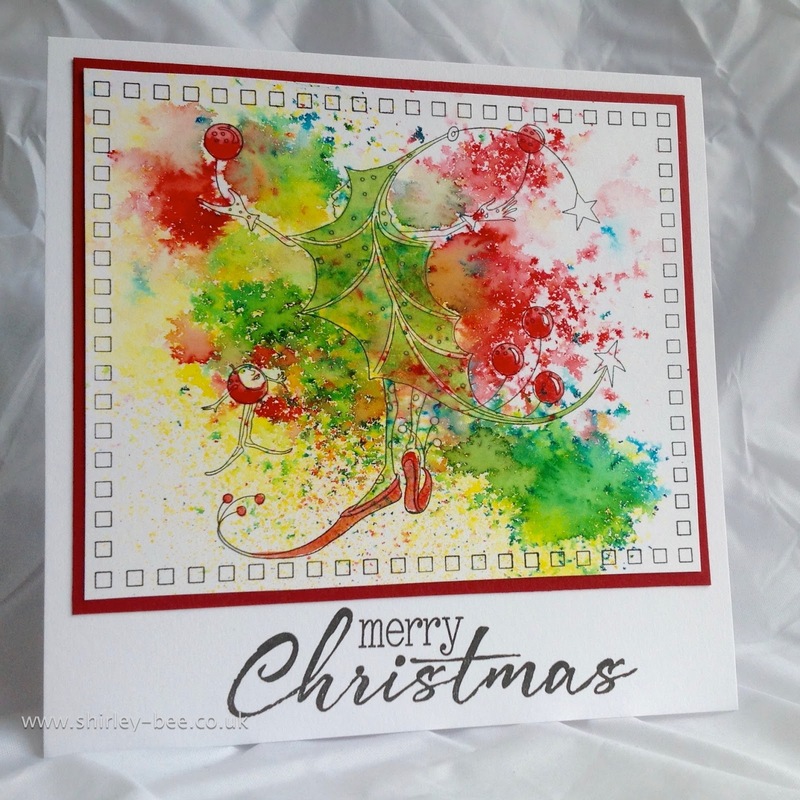 I sloshed some Distress Inks on the background for the sky, and splattered some water for snow, then coloured his scarf and the candy cane. A little slosh of grey and a sentiment to ground him (even though he's got wings), and some stitching at the top, and mounted him onto red card. 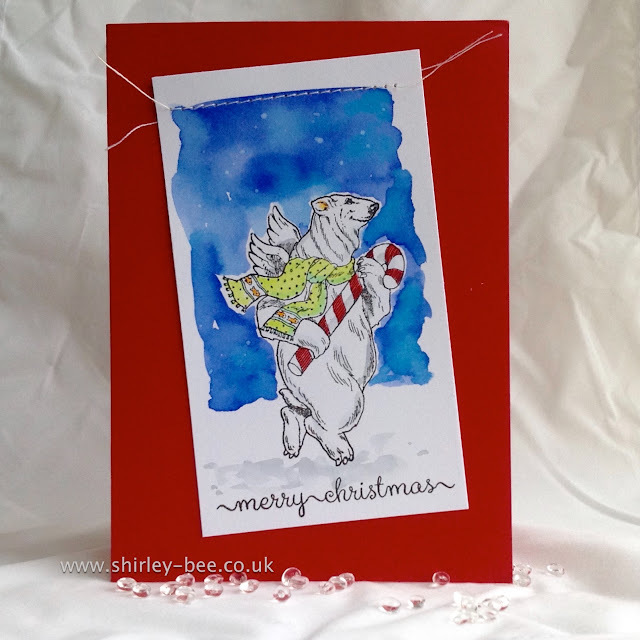 Pop on over to the Merry Monday blog to see what the Design Team have created, play along, and you'll have added to your Christmas card stash - never a bad thing! Welcome to another Seize The Birthday! 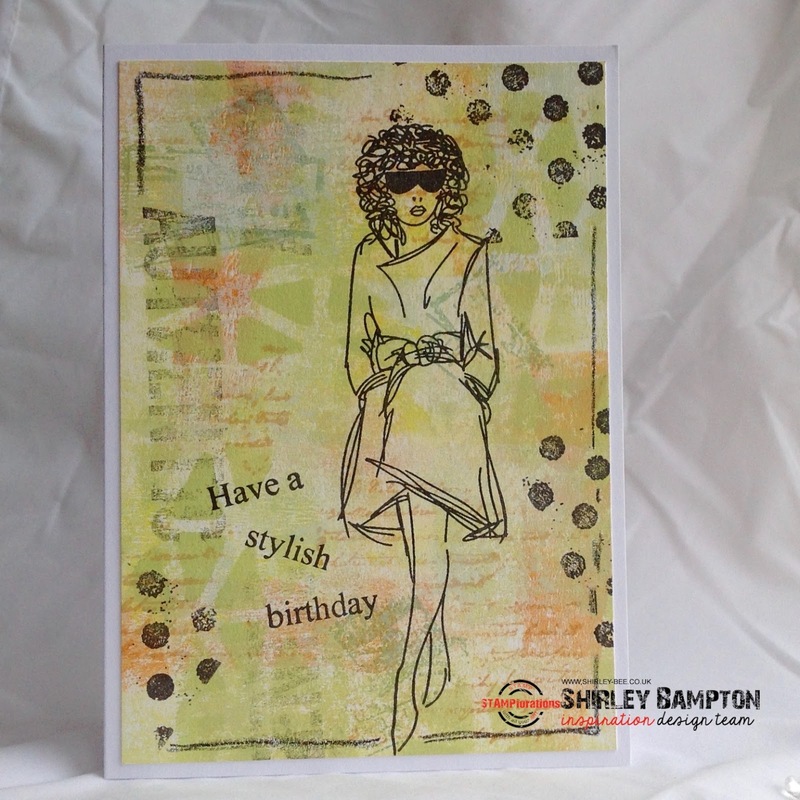 Your challenge today is to use Holiday stamps for a birthday card. 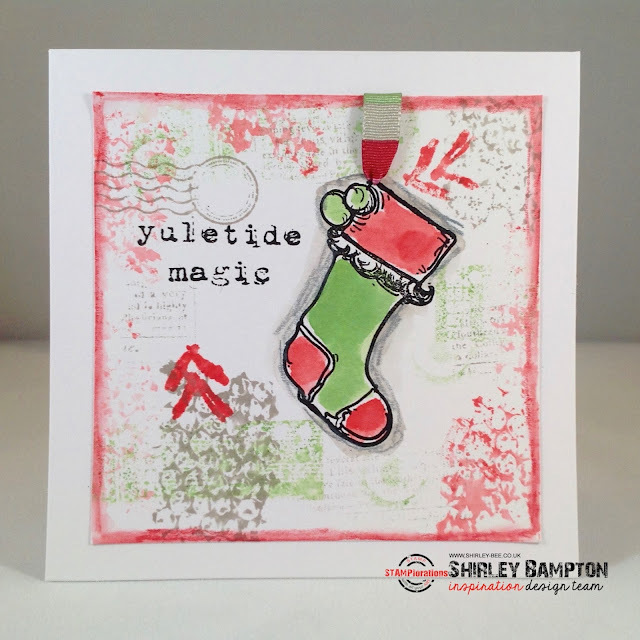 I used two images from the Tim Holtz set Halftone Christmas. The halftone tree became a pennant shape, and the snowflake became a starburst. I stamped the pennants using Distress Inks and because the alignment wasn't perfect, I drew a scribbly string - scribbles hide a multitude of sins! 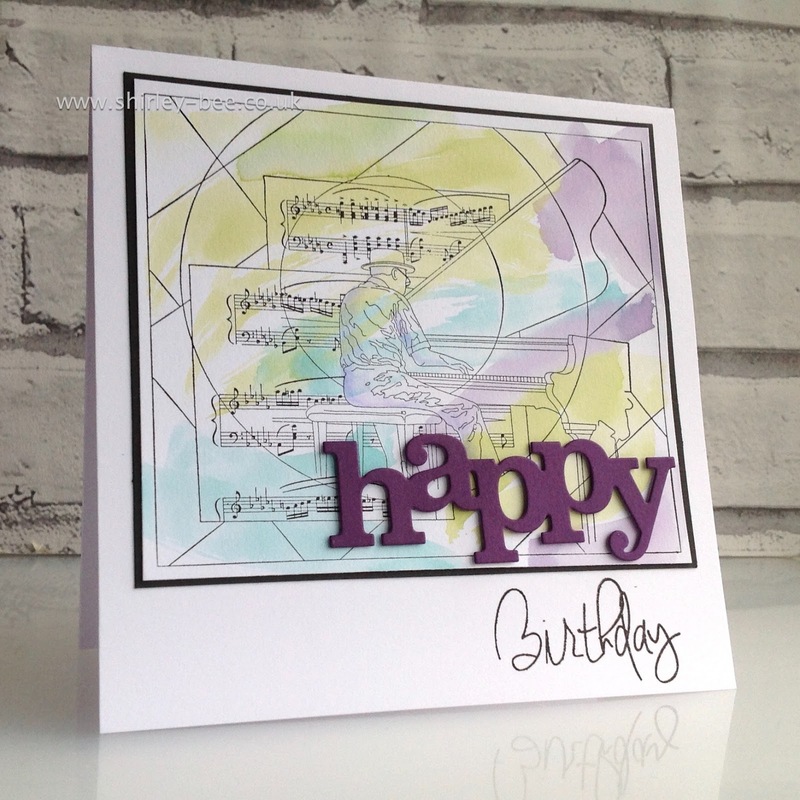 Added a die-cut 'happy' from Winnie & Walter, and 'birthday' from STAMPlorations Sentiment Builders: Happy. 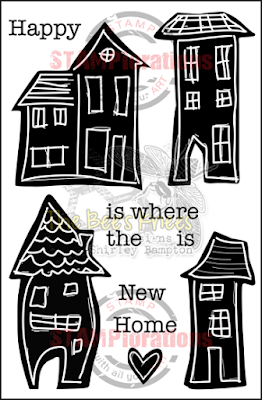 Our Surprise Party Guest for the next two months is the very talented Tanja from Little Art Cottage. 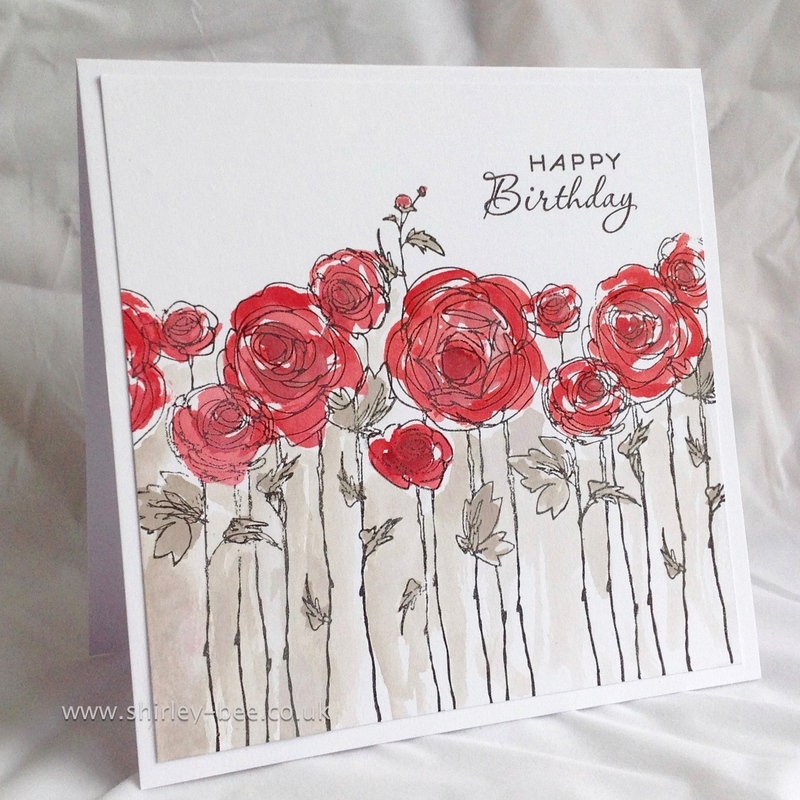 Pop on over to the Seize The Birthday blog for Tanja's card, and the Design Team's cards. 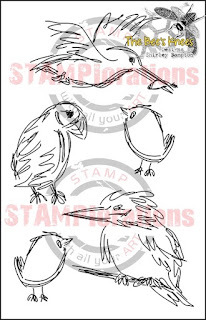 Fancy being creative with your Holiday stamps? 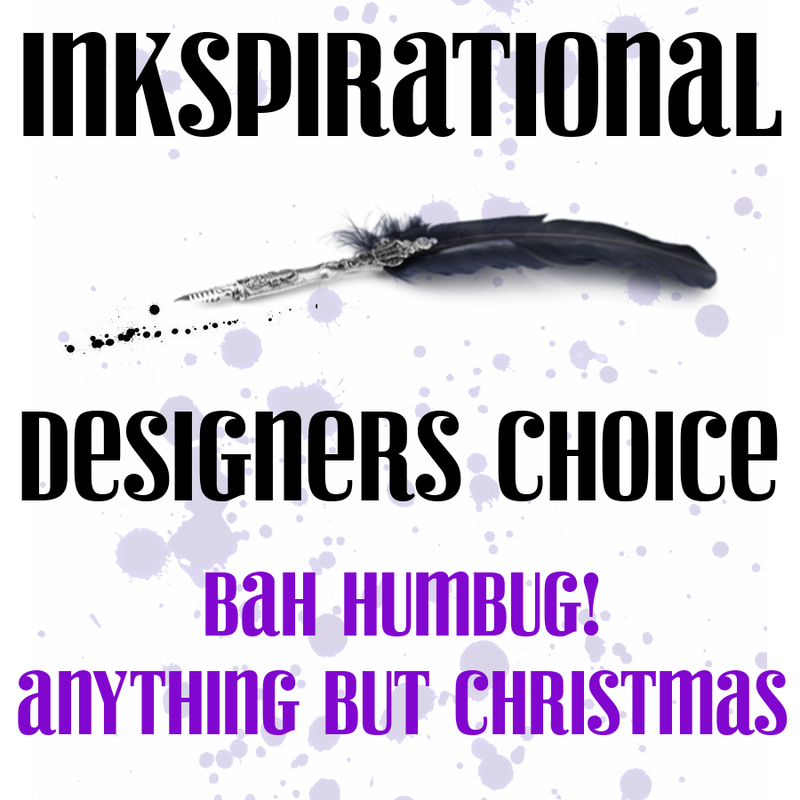 Come and join us - and if you don't want to follow the theme, you can join in anyway as long as it's a birthday project. 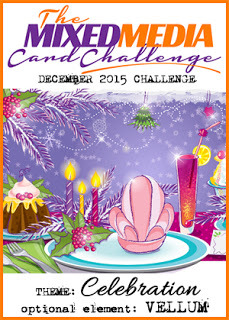 It's a new month, and a new challenge at The Mixed Media Card Challenge. Our theme for December is celebrate, and the optional element is vellum. 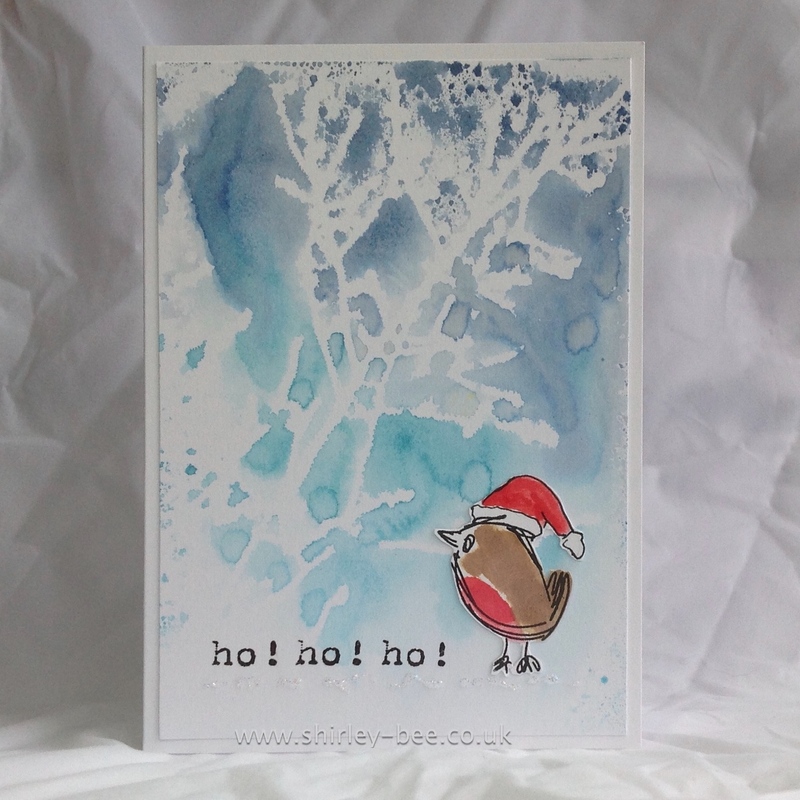 I made a similar card recently using the same image here, but I liked it so much I wanted to make another one in a slightly different colour scheme. 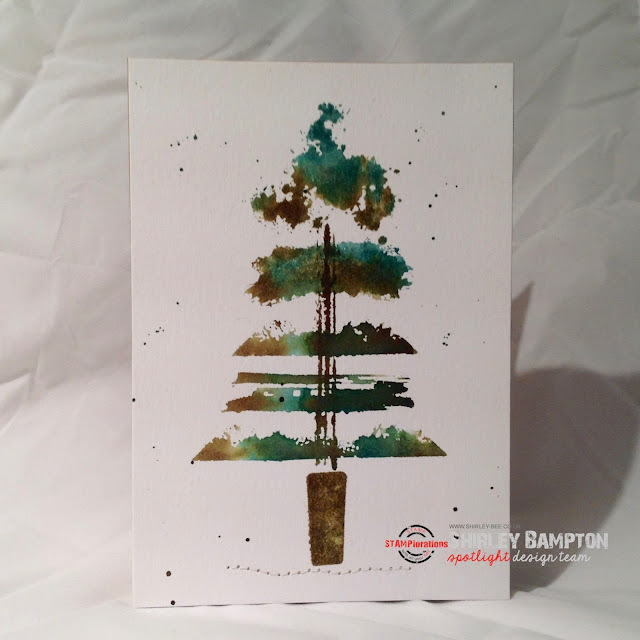 I stamped the image on Mixed Media paper, coloured it with Distress Inks, and distressed the edges. I added wedding ribbon to the car with brads. 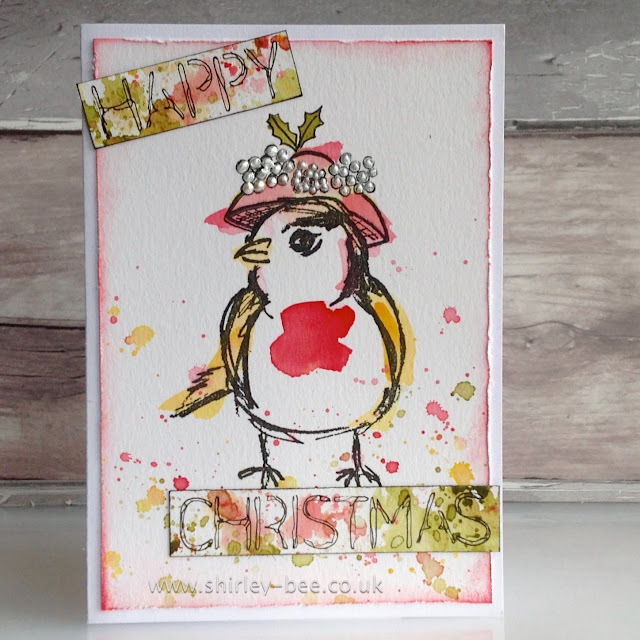 On the designer paper I brushed some Antique Linen Distress Paint then applied a painted stencil to the top left corner. 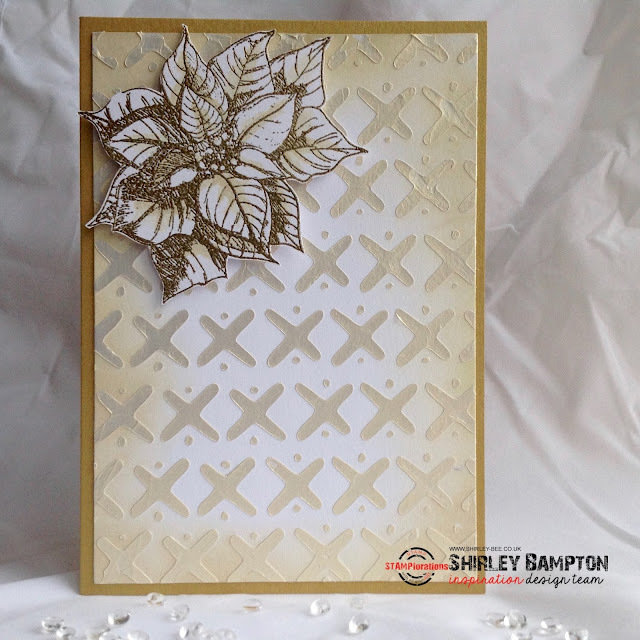 The die-cut leaf sprig was sponged with Walnut Stain, and the little flower arrangement is made up of a fabric flower, some scrunched up fabric, some stamens and - did you spot them? - two vellum leaves. 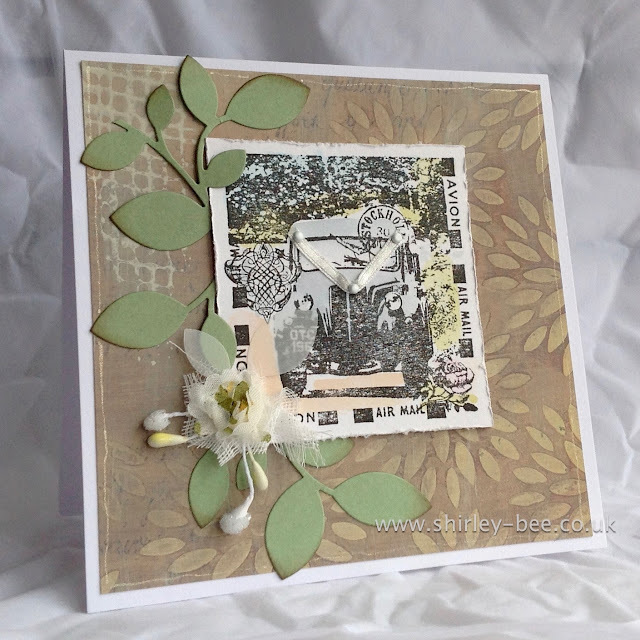 Once everything was fixed in place I went round the borders of the designer paper with a Stardust Gelli Roll pen. Pop on over to the Mixed Media Card Challenge blog for more lovely inspiration from the Design Team, and add your creation to the gallery. How will you interpret Amy's card? 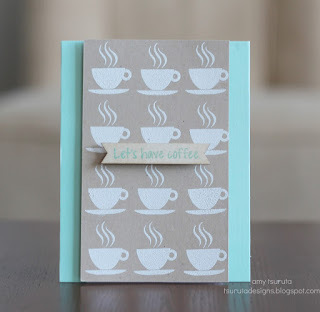 Pop on over to the STAMPlorations blog for more CASE-ing of Amy's card, and add your creation to the CASE playground for a chance to win prizes. 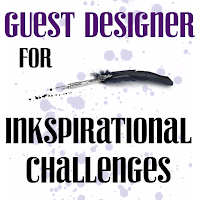 Time for more STAMPlorations inspiration. How about a girly Christmassy card? I've used the wedding dress from The Bee's Knees Newlyweds, sloshed some red Distress Inks over it, and embossed parts of it with Frantage embossing powder. 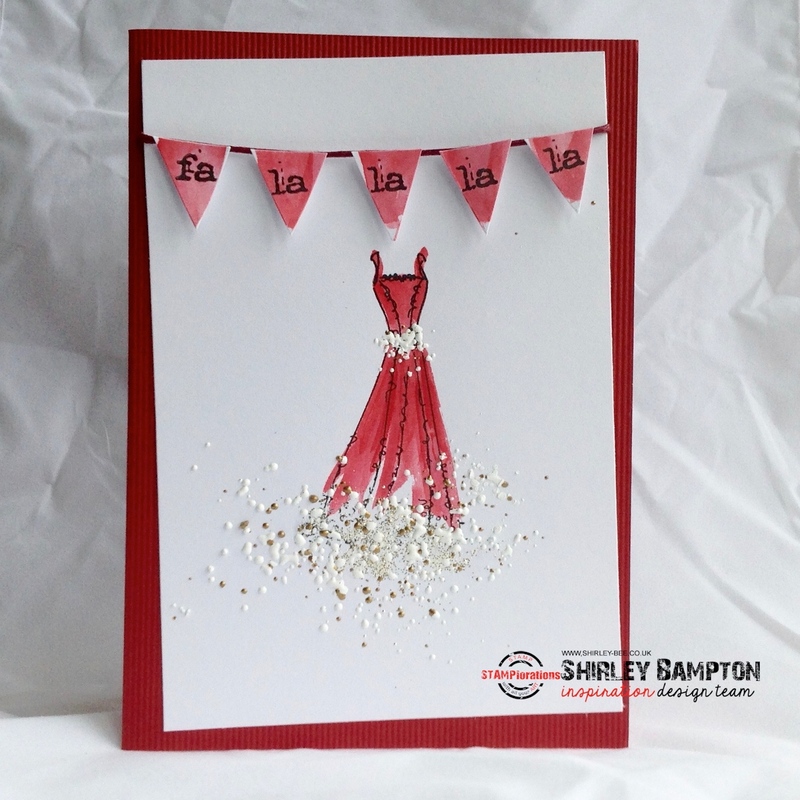 I stamped the fa-a-la-la-las (from Joyful) onto spare card, sloshed them, then cut them into pennant shapes. Strung a length of red waxed cotton across the card, stuck the pennants on with red liner tape and popped a foam dot behind each one.